Pakistan witnessed recently cases of gruesome incidents; where father forced himself on his daughter and kept her in the dark for years. The girl was used by her own father, and she had to break the cycle and let the world know about this ugly truth. Saeed Ahmed Khan was later sentenced for 12-years in prison. It was the bravery of the girl which made it possible to send this monster to jail and end this misery that caused her harm for years on end. There are many other such cases where the family or blood relations have exploited their relationship and made it ugly for their other family members. In Pakistan, we do not have any solid laws that focus on the people who exploit and deprave the blood relation within the family. But what happens if an adult – a trusted head of the household with insurmountable power – unnaturally chooses to betray the prohibition on depravation of family relations. 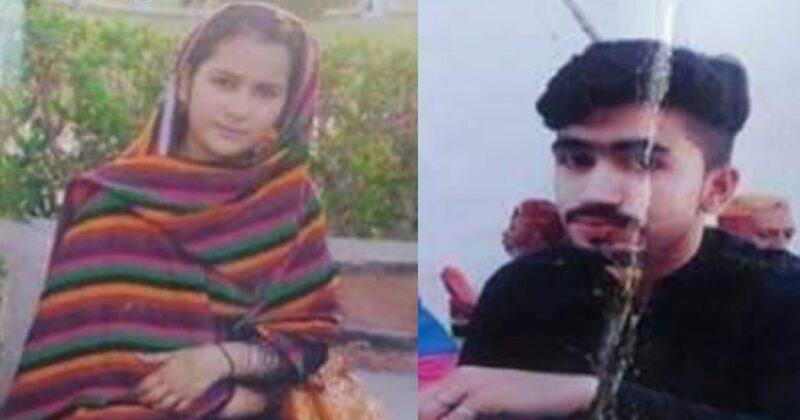 This Mamu in Larkana from Murad Wahan allegedly carry off his 14-year-old “Bhanji” and married her! This whole situation created a lot of chaos and the family of the girl sworn upon the holy Quran and protested in front of the press club Larkana. The father of the girl which is supposedly the brother-in-law of the guy said that his daughter named Kainat was kidnapped by Rashid. Kainat is too young to get married in any court of law, but apart from this fact which makes this marriage illegal, the very relation between Rahsid and Kainat of being mamu and bhanji is serious enough for this marriage to take place. Something like this to happen in an Islamic state is a matter to worry about. The crime itself is so fundamentally abhorrent. With the lack of laws available for such crimes, the court decides itself for the punishment by examining the nature of the crime that the criminal has done. Have anything to add to the story? Let us know in the comments below!